With winter already upon us, it's time to find that perfect statement jacket for the season. 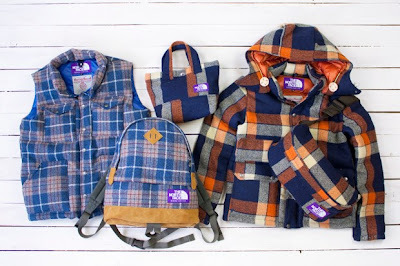 In an effort to combine timeless fabrics with undeniable warmth, The North Face Purple Label has teamed up with Harris Tweed on a really beautiful collaboration pack. The range of items includes a short Sierra Jacket and vest as well as 3 smaller items such as the "funny pack". Unfortunately for our Western readers, Purple Label is only available in Japan. If you are in the area you can get yours at Nanamica.